So as I've been re-reading my notes and getting further into a very academic but decently helpful book about Bristol, England's port, I've also been casting around for ideas on how to better outline a story. 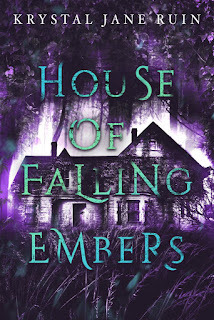 I seem to have a problem where I run out of steam on a novel, usually by climax time, and I don't ratchet the tension up enough and it falls apart toward the end. 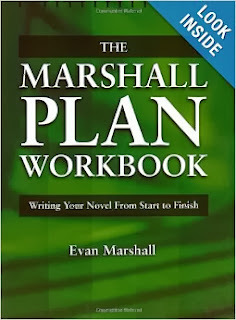 So, in order to not do that, as well as to get a sense of where the story is going before I'm two hundred pages in, I skimmed through a book I've had for a few years called The Marshall Plan Workbook by Evan Marshall. Not sure if it'll necessarily help me, but it was good to take a look through it again. The workbook has lived on my floor. My dad bought it for me when I was in high school and so, there are notes and questions answered on stories I didn't even bring around to the writing stage. It's kind of funny to read those notes now. I was hoping that I could either use or adapt the methods in the book for use in outlining things for The Sailor's Daughters. Because this story has a lot of strands and if I'm going to write it in the way I really want to, I'm going to have to plan it out carefully. The sheets are called Action Sheets. And though I've learned--through NaNo--that I can write a pretty detailed outline and adhere to it for the most part, I'm not so much of an outliner that I feel okay conforming to someone else's system. Planning the next draft has to be done in a way in that makes sense to me, you know? I outline in my own way, too. I gotta say, knowing where I want to go helps me be a lot more patient. I run out of steam towards the end, too. That exhausted point is a great time to finish my outline! Good luck working everything out! I've never seen the book before, but I love workbooks. It's really cool that you still have it. I'm casting around for outlining ideas, which is why I pulled it out. But while it might work for some writers and some stories, I don't think it'll work for me. I used Contour to outline my current story. It's a pretty nice guide, but it cost 49.95. The Writer's Dreamkit is another awesome tool, but it's pricey as well. I like to have things mapped out before diving in. I haven't heard of the book you got from your dad, but if it's a workbook, it's a lot better than picking up a "how to" book that blathers on about how to write rather than showing examples. I wonder if Scrivener is as good for outlining as I've heard it is for organizing notes and writing. I'm not, generally, a fan of writing craft books. 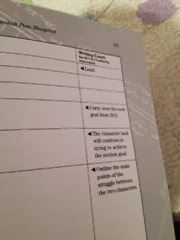 I like some of what's in this workbook, but I'm not going to squeeze my story into a system that might be meant for something a little more mainstream.